Triple sphere brush hugs lashes for end-to-end coverage. Wears for 24 hours! Permaset formula wraps lashes with lengthening fibers and curling agents. Humidity- and sweat-proof. Glob-free, non-clumping formula. All-day wear. Availability: Contact 086 010 2345 to find a sales representative near you. It’s a yes from me. There was a stage where I collected mascaras, as my own eyelashes aren’t very impressive on their own. I got this Avon one, as I have used a few of their others before. This was the first mascara wand that I used that was like this one. It was a rubbery or plastic curvy mascara wand. What I love is that the mascara applies really well onto your lashes. After using the product for a while, I was pleasantly surprised that it didn’t dry out very fast, which is often what happens with mascaras. It gives you great volume and doesn’t transfer throughout the day to the upper lid or under the eye. 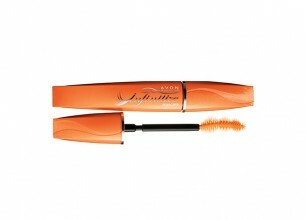 Avon mascaras are definitely affordable and do the job, so I recommend you check them out! Great Mascara, a colleague asked me if I have false lashes, the mascara is not clumpy, dries quickly after application and has a full and lengthening effect. It is affordable as well. This amazing baby is humidity and sweat-proof – yes I tried and tested it! It stood through me standing in the sun for about three hours, and not a smudge on my face at all. It’s ophthalmologist tested, safe for the most sensitive eyes ever, and even safe for contact users. I recommend this product to anyone who uses mascara all the time and wants amazing lashes without the effort. It’s inexpensive and worth every cent. Can anyone say ‘New fav mascara’ ???? Well this definitely just hit my new number 1 spot (which was recently shared by Revlon 3D Photo ready Mascara + Avon Super Enchant Mascara)!! As part of my Avon Haul this month, I purchased this mascara along with the Blackest Black Gimmerstick for only R89.95…. Yes, 2 great products for only R90!!! So more about Infintize mascara…. I have naturally long eyelashes, so usually look for something to thicken it up nicely, so I was pleasantly surprised when this little beauty took my lashes to a whole new level!! The brush is amazing, its curved, so it makes it super easy to reach all the hard to reach lashes in the inner/outer corners of my eyes to give off a nice cohesive look. It lengthened my lashes and thicken them up like no-one’s business and gave them a lovely deep intense ‘come to bed’ sultry black look! My eyelashes are left absolutely beautiful, and the best part is that It is soft and flexible to the touch which gives off a really comfortable wear. And the best best part? The formula does not flake!! this is extremely important to me as I wear contact lenses and there is nothing worse than a flaky mascara!